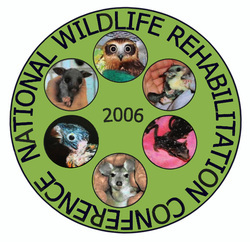 The fourth national wildlife rehabilitation conference was held in Darwin from Tues 29 August to Fri 1 September 2006. There was an optional Necropsy session on the Saturday, making this one of the most ambitious conferences to date. The theme was "Diversity"
The atmosphere was particularly laid back, including the novel approach of taking lunch at different local venues. The Organising Committee included Mignon McHendrie, Jo Neyens, Barbara Backers, Gavin Eclipse and Pauline Pavey. The Masters of ceremony were Stuart Traynor, Tony Clementson & Lisa Reynolds. The conference AV produced by Steve Amesbury. The following is a list of the presentations at this conference. Not all were made available for download by the presenters. Presentations are listed by Surname of the key presenter. Click on the links below to download available presentations from the Northern Territory conference.